Pizza. This refined food is a staple in any college student’s diet. But at a University with a plethora of pizza places within walking distance, how can anyone discern which one serves a superior slice? In a fiercely competitive pool of pizza restaurants, one establishment rises above the rest. The voters have spoken, and the best pizza place for 2013 is none other than Fellini’s Pizza. 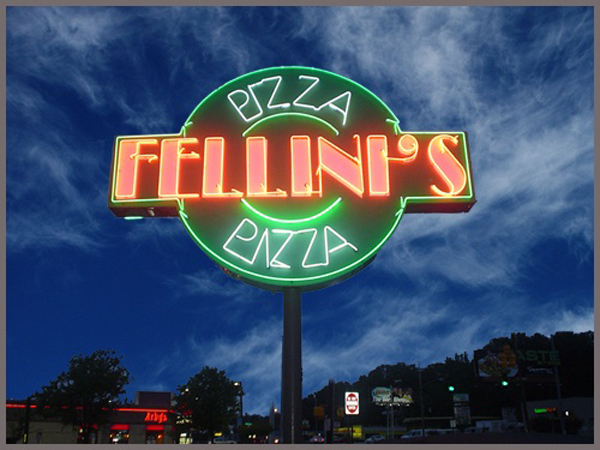 So what is it about Fellini’s that leads students to trek off-campus when they could choose from the three pizza places in Emory Village (Not to mention the DUC – every student’s mouth waters at the mere mention of coleslaw or carrot pizza)? To the freshmen whose knowledge of off-campus dining consists of the fine eating establishments in Emory Village, know that your taste buds are missing out until you sink your teeth into a slice of Fellini’s pizza. Perfect your personal favorite combination of toppings with an individual slice or practice the valuable skill of compromise by splitting an entire pie with friends. Prefer Sicilian style? Felini’s has it! Experiment with a variety of their many toppings or keep it simple with Fellini’s delectable white pizza. Or maybe you’re just not in the mood for pizza? Not to worry, the calzones and salads are equally excellent. With lots of shredded mozzarella cheese and creamy Italian dressing, the salads will make you forget Fellini’s is known for its pizza. As for their calzones – what’s not to love about bread, cheese and your choice of toppings? With an ambiance that defines “chill college hangout” and a price that is ideal for a college student’s budget, you can’t go wrong with Fellini’s Pizza. From the moment you step inside one of their multiple locations, you’ll never think of pizza the same way again.